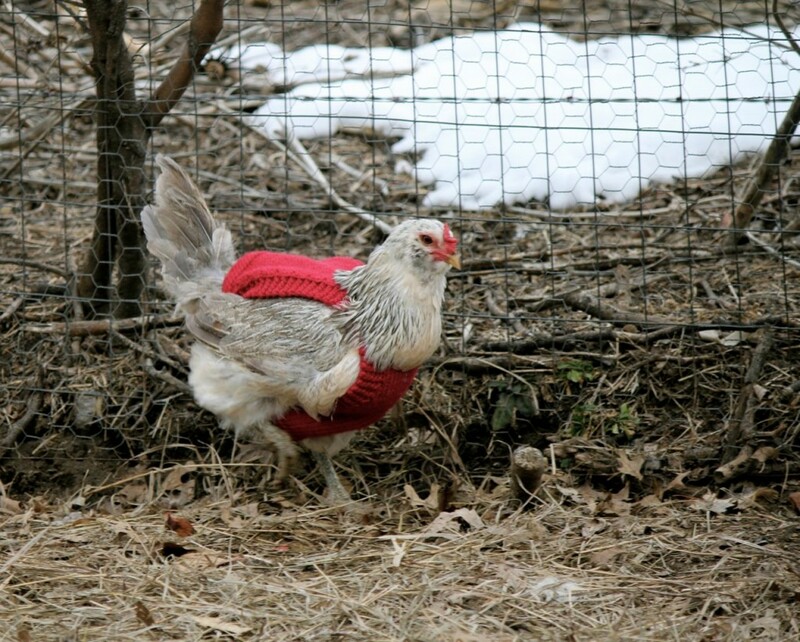 Question: Does your chicken need a sweater? I receive notes quite often, on Facebook or through my email. They invariably start like this: “Amy, this made me think of you.” I nearly always know what’s coming: 99% of the time, I get pictures of this one thing. Chicken sweaters. Pictures of chicken wearing sweaters. Once I received 5 photos of chicken sweaters in one day! That was a record. This tickles me to no end. I’m not really sure why, when my friends see a picture of a chicken in a sweater, they automatically think of me. I received one today, from my cousin Sarah. Check it out on my Facebook page. My curiosity has certainly been piqued by all these chicken sweater posts. Are chicken sweaters really a thing? Are they a joke? Do people really use chicken sweaters? Are they just knitted so chicken folks can take pictures of them and send them to other chicken folks? And then. One day when I was poking around on Etsy, I was delighted to discover a lady who makes absolutely beautiful sweaters for chickens! And what do you know: Chicken sweaters are a thing. 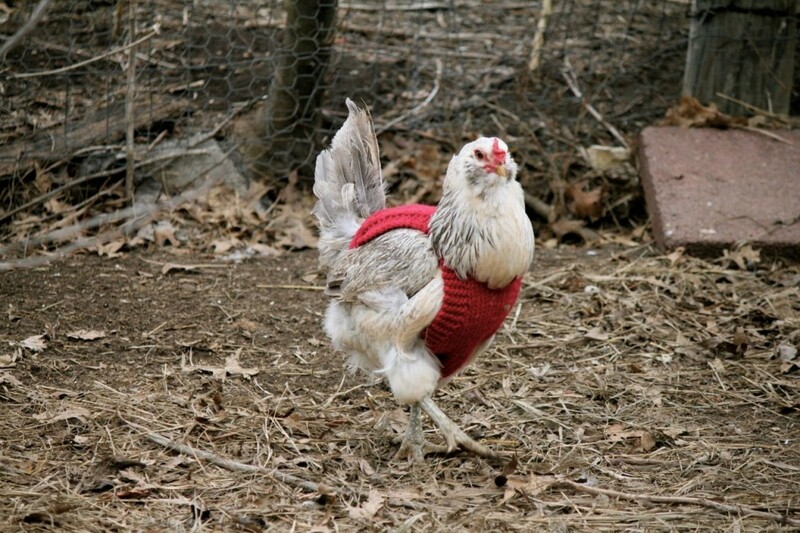 I contacted the knitter, and she sent me a chicken sweater for me to try out on one of my hens. And Gentle Reader . . . oh, you lucky Gentle Reader . . . Laura from the Etsy shop Cockadoodleduds (I know, awesome name, right?) has agreed to do a chicken sweater giveaway with me! Chicken sweaters! Why? What inspired you to start this business? Laura: CockADoodleDuds is a project of my Baisebeige Studios business. I promote sustainable lifestyle and green living. I make clothing and accessories from upcycled and salvaged materials, sell vintage clothing and textile supplies to promote reuse. I noticed a lot of animals wearing sweaters on the Internet and most of them are a novelty. What caught my eye was the raggedy little British chickens in adorable sweaters. I wondered what their story might be. 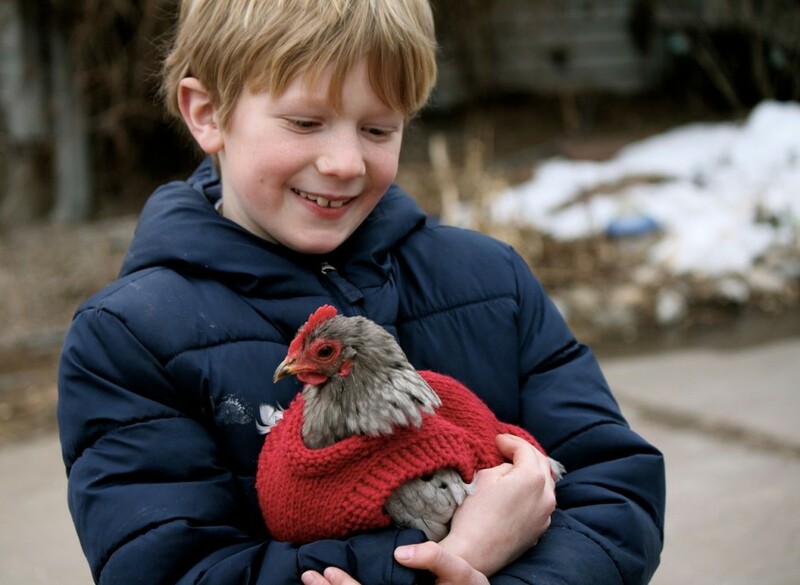 It turns out that the chickens had been rescued from factory farms, and kindly old ladies met in libraries in England and knit sweaters for them. How sweet is that? (me: pretty doggone sweet!) When the birds are rescued from factory farms, they are nearly bald because they have been stuffed in cages and they have to have help staying warm while the feathers grow back. That made me study and think about the chicken situation in general. My local library told me that the most circulated books in my neighborhood are about gardening and raising chickens. There aren’t that many “rescued” chickens in Indiana yet, because our laws don’t forbid caged birds on farms, but they are showing up occasionally at humane societies. There are issues that persons “going green” may not consider before getting chickens. For example, they may select breeds that are pretty, but aren’t appropriate for the climate. They might not be attentive with keeping the coop clean and parasites will infest the chickens and they lose feathers. Plus, chickens are not very nice if another bird in the flock is injured and will peck her to death if the wound is uncovered. Also, a chicken that molts in cold weather is in danger because the other chickens may not cuddle up with her. All of these situations can be handled with a chicken sweater. Laura: Exactly. Also, there are social situations that open up a less practical market. The relationship between chickens and people have changed in the 21st century. The birds are more like pets than livestock. Some vegans will adopt chickens as companion animals and treat them just like their other pets. It’s not a life or death situation for the bird in these cases, but for whatever reason, the owner wants to have a well dressed chicken. I knit the sweaters myself and keep them in stock in a variety of sizes for people who have emergencies and need to address an issue with a bird right away. I haven’t seen any chicken sweaters in stock and ready to ship anywhere else, so I decided to address the need. I send my sweaters out the next day via Priority Mail. My mail lady knows that when there’s an outgoing box from me, there’s usually a bird having an emergency somewhere. My local post office gets a kick out of my chicken sweater business. 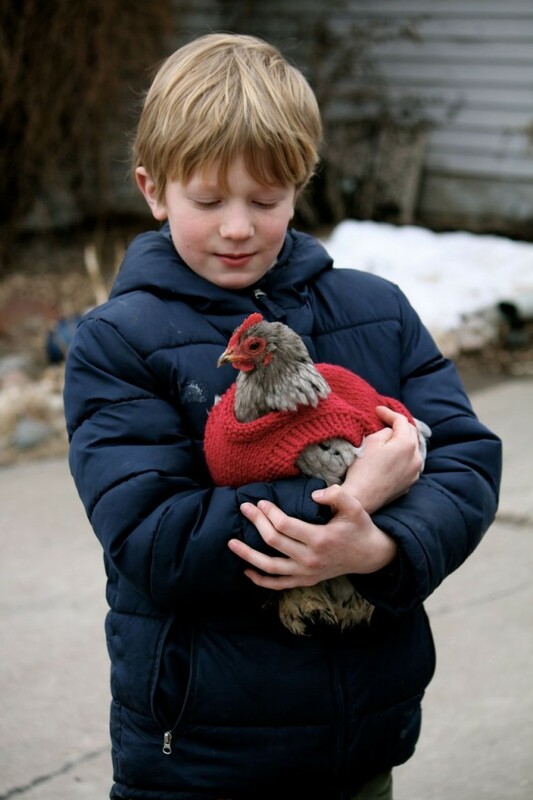 First we slipped our new sweater onto Babes, little Mack’s favorite little bantam. She was shivering when we slipped in on. “She stopped shivering, Mom,” said Mack. Do you keep chickens yourself? Laura: No. At one time my landlord encouraged me to get a little coop and keep some chickens in our one-acre yard. I was reluctant to do that because I didn’t have a good plan for the chickens if my circumstances changed. I think people need to always have a plan for the future of their animals and I had none. Later, there was an issue with that house and he stopped renting it. Honestly, I don’t know how I would have handled the chicken issue. I was lucky to find a little place down the street and have the same rock star mail lady. But. This new landlord has a firm no pets clause in the lease. No worries, though. My new next door neighbors have a little urban homesteading going on in the backyard. and, yes, they have chickens. I sit inside my apartment and hear them clucking outside. It’s the coolest thing ever. I see your yarn is vintage and upcycled. Can you expand on this? I like to use vintage, salvaged, upcycled, leftover and sustainable materials in all of my work for a lot of reasons. It’s better to use these supplies, rather than send them to the landfill. I’d rather use up old textile products because the textile industry is brutal to the environment and unkind to their human labor. I especially like American made vintage synthetic fibers because I think of them as being a symbol of a time when America could sustain itself. Our country stopped producing acrylic fiber during the 1980s. When I learned that, it boggled my brain. Since I have to consider a lot of issues with making chicken sweaters, I like to stick with synthetic fibers. They are machine washable and dryable and resistant to microorganisms and insects. In order to not perpetuate the negative issues with the global textile industry, seeking out vintage American made yarn is the best choice for me. I use them down to the tiniest scraps because they are precious. I also have some sweaters in my shop that are modern imported acrylic yarn leftover from custom projects. I use those completely up rather than send them to the landfill. Even when I can’t make a 100% green choice, I can make a greener choice. We couldn’t stop grinning: Babes looked so cute in her sweater! When do you do your knitting? I schedule my Etsy shop work time like a job. I block out time and use it for a variety of shopkeeping activities. There’s not a particular time of day that I knit. I have a good idea of how I like to balance my shop inventory to keep sizes and colors well assorted. If I am running low on something, I make more. 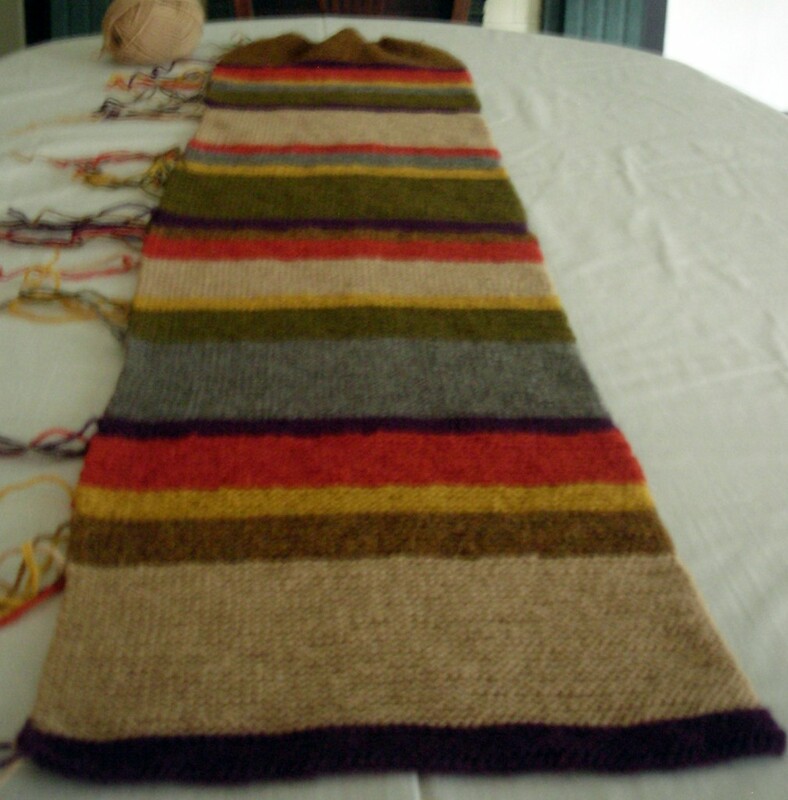 I like to knit often, especially since I started making screen accurate replicas of Doctor Who scarves. Little chicken sweaters are fun for keep my fingers limber for marathon knitting those 12’ or longer scarves. What sets your chicken sweaters apart from other chicken sweaters? If you Google “chicken sweater knitting patterns” you will likely find some that are surprisingly similar to mine, but without finished necklines and a nice button band with finished buttonholes, which are details that are hard to see or figure out from my product photos. We discovered when we put Babes down, however, how important it is to have the correct fit. She couldn’t walk very well in her sweater, so we went looking for a slightly larger chicken to try it on. Tell me a bit about where you live. I live in historic Woodruff Place in Indianapolis, Indiana. My neighborhood was a gated town that was the first planned suburb of Indianapolis and developed right after the Civil War ended. Our streets have esplanades with fountains, urns, statues and five globe streetlamps. It’s a very magical place: a museum you can live in. We were a town until 1962 when the US Supreme Court refused to hear the case against annexation by Indianapolis. I am 57 years old and taught myself how to knit when I was 3 years old. I am currently a student at Southern New Hampshire University working on a B. A. in psychology with a social psychology concentration and a minor in social media marketing. I think I am just an average college kid with an Etsy shop. I grew up in a swell medium size Midwestern city called Gary, IN, and lived there when it truly was the City of the Century. My mother had two masters degrees and taught school full time and my father quit his job to be a stay-at-home dad in 1957 when I was born, which no one else had ever done before. I moved to Indianapolis in 1982. I have designed street fashion, promoted punk rock music, marketed a line of handmade clothing in the Midwest, had public exhibitions of works at the Indianapolis Museum of Art and the Indianapolis-Marion County Public Library. 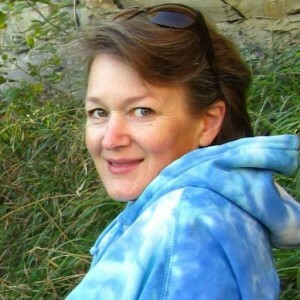 I’ve worked in independent local stores and managed corporate retail stores. I was a security guard at the Indiana Convention Center. I’ve also been a figure model at an art school. I recently made an appearance in a punk rock video. I have been a freelance fashion artist the entire time I’ve lived here and make one-of-a-kind clothing. I took care of my father by myself for three years. I died from pneumonia and was unresponsive for a week with no prognosis until I woke up all-of-sudden like in the movies, disconnected myself from life support, and announced I felt fine and wanted to go home. I make stuff and sell it on Etsy, make a lame attempt at blogging, have a ridiculous number of followers on social media, read 100+ nonfiction books per year, and I recently started canning and dehydrating food. I volunteer in my neighborhood. I think I’m average American, but am not sure America would agree with that. Lily was just the right size, and she was okay with having a new sweater to wear. Red looks good on her, don’t you think? I bought most of my typical size knitting needles with my allowance money when I was a kid, so I am most used to using vintage mid century Boye aluminum needles with long tapered points. They’re really fast, which comes in handy on Doctor Who scarf knitting day. I have a really precious pair of imported British plastic needles, also acquired as a kid, which are warm to the touch and have short conical points. I’m hoping to use those when I knit a replica Season 18 Doctor Who scarf for my customer in Australia. We were one of the first lucky 33 people to get some custom dyed chenille yarns for that scarf and they are on a boat coming from Italy right now. I hope I can get the right gauge with them, so I can really savor the experience of making that scarf. I have some jumbo plastic needles I purchased during the 1980s when I started making items knitted from salvaged strips of fabric. The only modern knitting needles I’ve purchased are all bamboo. I got a size 35 circular needle and a set of size 19 double pointed needles for knitting more of the rag items. I also bought a couple of sets of sock sized needles because I just hate socks that are for sale in stores these days and decided to DIY those like everything else I own. I know my readers will ask: how can they learn more about your Doctor Who scarves? Where can they buy them? 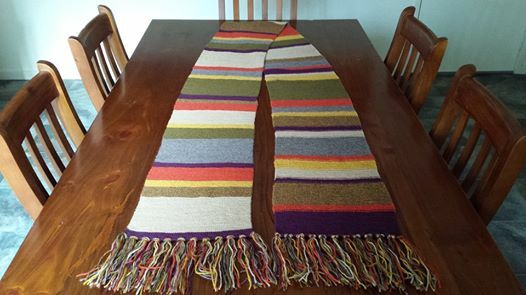 I make the Doctor Who scarves by custom order only in my baisebeige shop on Etsy. Interested parties can click the big blue “request custom order” button in the left side bar to initiate conversation. https://www.etsy.com/shop/baisebeige I can make screen accurate replicas of any of the scarves. The wool yarns are available anytime. There will be another run of the custom dyed Season 18 chenille yarns in the near future, but it could be months before those are delivered. Since the company that made those original chenille yarns discontinued them years ago, Whovians don’t mind waiting for them. I’ve attached photos of a Acheson Hero scarf in progress at the halfway point and finished. That’s what most people call the “original” scarf, but it’s not the longest one. The scarves ended up being crazy long because the BBC gave the knitter, Begonia Pope, a quantity of yarn for the piece and she, not being instructed differently, used all of it. The scarf became such a sensation with fans that the subsequent scarves all were oversized and randomly striped as variations on that theme. Oh my goodness. Laura. These are grand. I loooove this one, Laura. I waaaant it. 😉 Lovely! Thank goodness for Etsy, because almost none of it comes from Indiana and I have absolutely no idea how I survived here for so long. I have a handful of loyal customers in this city. Most of my mail order business from all three of my shops comes from all over America, with a concentration toward the east and west coasts. About one-third of my business is international and mostly from the UK, Canada and Australia. With the exception of one chicken sweater, all of my sales have been to Americans with one sale to Australia. That surprises me since chicken sweaters are a new concept here. I did recently tag all of the sweaters with “chicken jumper” and “chook jumper” and have seen increased traffic from all over Europe and Australia since I’m now speaking the language those customers would use for search keywords. I love the Australians’ word for chickens, “chook,” myself. 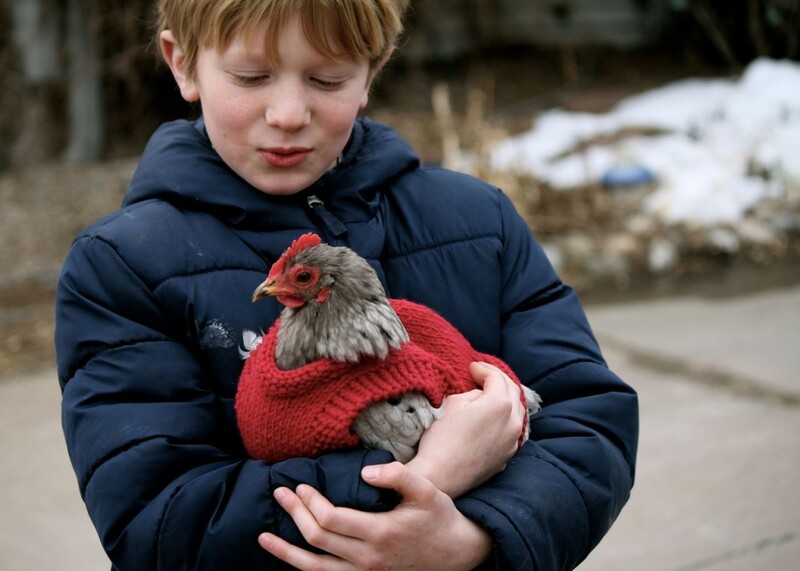 How would you say a favorite chicken’s life would be made better by having a sweater from your shop? In the case of the first sale I made to the customer in Australia, that chicken is alive thanks to having a sweater. She is my ideal client and was rescued from a factory farm there. Her owner described her appearance as being “oven-ready.” She spent her first days in her forever home inside the house and wrapped in towels to stay warm until her sweater arrived. Her feathers had started growing back by then, but were not dense enough to survive even a mild Australian winter. When she got her sweater, her body language changed immediately. She stood up straight and could walk around and explore her yard instead of sitting and shivering. She could also start interacting with the other chickens already at the home and start living a normal life. My customer recently moved to a different Australian state. That country has intense agriculture laws and she had to apply for permission to keep chickens in her new home.That included submitting photos of her coop and the birds and everything about her birds. When the health councilor came to inspect her birds, the only thing he asked was where she got a Doctor Who scarf pattern chicken sweater. That made my day. When I was considering getting chickens, I was a little bit intimidated about the huge list of items to keep on hand to deal with chicken issues. 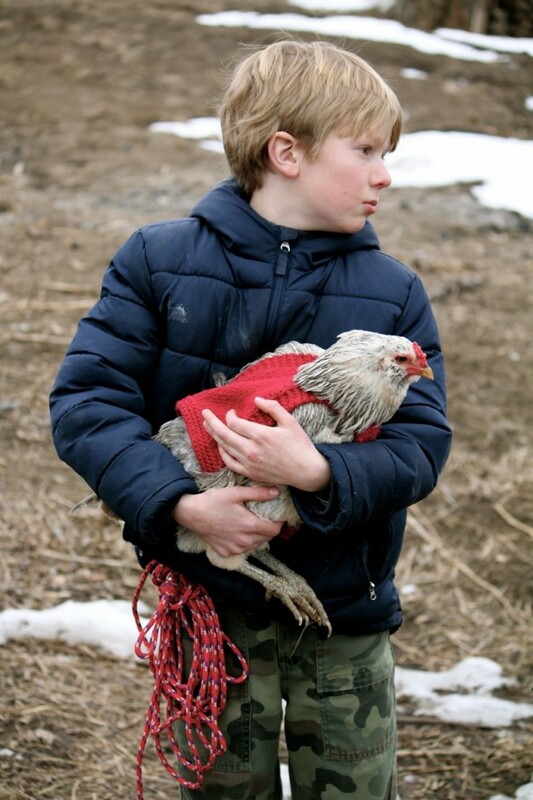 I think having a chicken sweater on hand is a good idea to be able to deal with untimely molting or an injury during cold weather, especially when there is not an option for bringing a chicken indoors. They are just adorable, though. I’ve said “Awww” more than once when I finish the pieces and don’t doubt there are a few girls proudly strutting some stylishness, too. Well. “Awww” is certainly what I say when I see pictures of your chicken sweaters, Laura. Thanks for your time, and keep on knitting those chicken sweaters, say I! Laura was so generous with her time, and I appreciate her opening up her shop to me for a chicken sweater giveaway! As you might have suspected, the giveaway is now a fait accompli, finished, a done-deal. Thanks for stopping by, chickie! How adorable, certainly looks like they love their sweaters. What a neat thing Laura does. 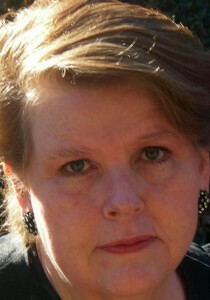 Oh my, what a delightful lady and webshop. I thoroughly enjoyed the interview and her sweaters look meticulously detailed. They are all very cute. Much thought and precision went into them. Thanks for finding/sharing her with us. Stephanie, You should see them up close. I was really surprised by how beautiful the one is that she sent me. She goes to great care to provide a very quality chicken sweater! What a wonderful idea! I love the sweaters. I wish she sold patterns too. I like knitting. I’m going to look at the dr who scarves. My son is a big fan! Oops and the grey is my favorite! I thought chicken sweaters were a joke too but reading the interview, I understand now. I even had a chicken who could have used a sweater. “Lowly” was made to go outside all day during one winter by the other hens but she’d sneak into the coop before I closed up at night. I made the spot she chose better sheltered and made sure she always had clean warm straw under her feet but I’m sure she could have used a sweater then. The next fall, she wasn’t feeling well and huddled around the heater instead of roosting. Clearly she could have used a sweater then too. Finally, after a couple of months, I found her struggle over. Poor Lowly. But I was glad she didn’t have another winter outside in her future anymore. I think my dark red chickens would like CockaDoodleDuds’ multi-coloured variegated sweater with the dark red border best. I can see I might need one at some point in the future but everyone’s getting along and healthy at the moment and I haven’t had any crazy molting times happen. Isn’t it fun, Rita? I can think of several of my chickens in the past who have been picked on by the other chooks, who could have used sweaters for protection, warmth, and (yes) just to cheer them up. “I’m so special my mama bought me a sweater! So there!” Oh, poor Lowly! These crack me up!! Love them. I think this is a great idea. Chickens need a little consideration too. Recycling is absolutely essential, and if we can use old materials to keep a bald chicken warm, that’s perfect. I’ve never thought of knitting them an item of clothing. The photos are wonderful, and I giggled when I thought of the little bantam getting her claws stuck in the knitted pullover when she tried to walk. However, I don’t need one, having no chickens–bald or feathered. THanks for reading, Francene, and for your always-excellent comment. I’m so glad you are my friend, chicken-owner or no! I love the “vintage yarn” aspect of this And, what a life your interview subject has led. Gee, I have an afghan I crocheted in 1973. Vintage afghan. It means (gulp) we are all getting older. However, I have not owned chickens in almost 30 years. I do know people who are Dr. Who fans, though. I’m sure she’d love it if you shared this link with your Dr. Who fan friends, Alana! This is just too cute – and who knew? 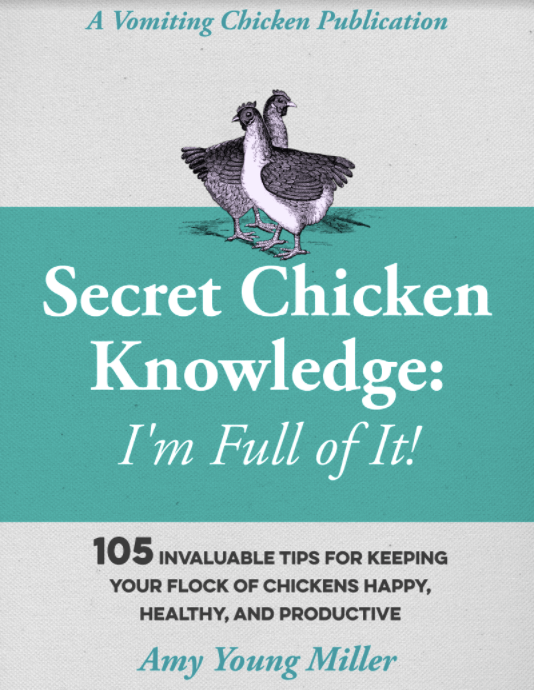 What a fun adventure in chickens and knitting discoveries – Love it! I agree with your choice of the red!! The RED one! Ya know, “the little red hen”! Love the sweaters. I always worry about my chickens that molt in November. My favorite chook sweater is the varigated with green edging. I will have to pay closer attention to the scarves on Dr. Who. I love these! A couple of my favorite hens could really use a sweater right now with this ridiculous cold weather we have been having. Purple is my favorite color, so I love the purple one! Ashley, good for you! I hope you win!